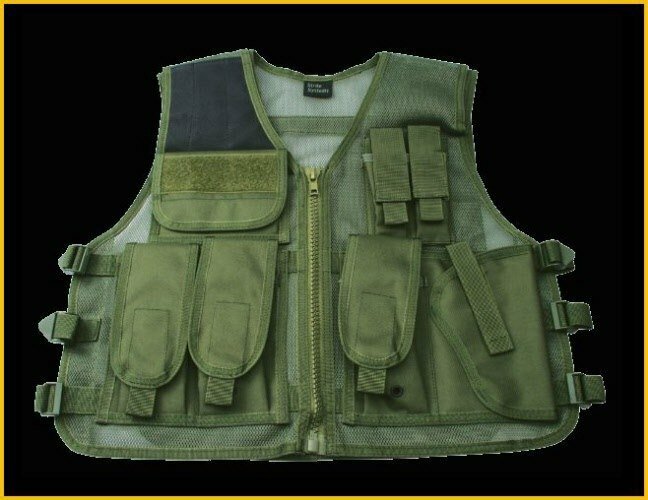 Lightweight black tactical vest for your kit. Made from breathable mesh to keep that will keep you cool. and side adjustments, makes it easy to remove. 3 Mag pouches will hold 2 mag each. 1 Small utility pouch with panel for ID patch.